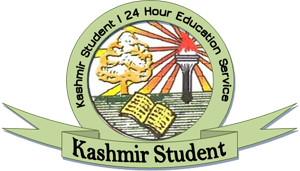 Scholars residing at a hostel in the University of Kashmir are holding silent protest from past five days against a warden who, they say, abused them and the vice chancellor, who allegedly threatened them with police action, when they went to his office to register their complaint. The university authorities have, however, refuted the claim, saying there was mis-communication between the warden and the residents. The silent protests started on the morning of world’s biggest blackout after a heated conversation took place between the residents and the warden Ghulam Nabi Khakhi. 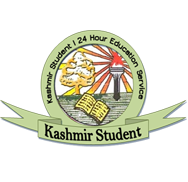 The boarders of Gani Kashmiri Hostel say that they were recently given a new dining hall and on the night of black out on July 28 they along with the cooks shifted their food for the pre-dawn meal in Ramadan to the old dining room. “When there was no electricity during Sehri we decided to shift the food to the old dining place as it has an electricity generator,” says a protester wishing anonymity. He says the new dining place has recently been constructed and is not equipped with these facilities yet, adding that in the morning when the hostel warden came to know, he 'abused' the residents. We tried to explain to him that we had shifted food because of the black out, but he refused to listen to us, they say. “I know which families you guys come from and what food you eat at home,” the hostelers quoted the warden as saying. Around fourty scholars, who reside in the hostel, then sat on a silent protest in the lawns seeking the removal of warden. As we protested, the provost came and heard our complaint, they said, adding, he told them that the warden is no more associated with their hostel. According to them, the provost Naseem Ahmad, asked that they should accompany him to the VC Talat Ahmad next morning to register their complaint. Four scholars along with the provost went to the VC. “When we went there, the warden was present and instead of hearing us out, the VC threatened us with police action,” the protesting scholars said. “Stop this protest or I will call the police. I will reform you single handedly,” they quoted the VC as saying in front of various officials. Since then the scholars have been holding silent protest outside their hostel from 5 pm to the dusk. The university provost, Naseem Ahmad, however, denies that the VC threatened police action. He says it was in fact the VC who took personal interest in seeing the construction of new dining space. “He (VC) ensured its time bound communication and was very critical of the engineer who was running late,” he says. He says the entire episode is a result of miscommunication between the warden and the scholars. The scholars are demanding the ouster of warden and VC to take back his remark. They allege that the administration is accusing them of overstaying at the hostels. “We are being accused of overstaying at the hostel, while as it is a fact that the warden himself stayed in this very hostel during his student life for 15 years,” they said. They said even the VC told them they should learn to conduct themselves well as he himself had lived in a hostel for 15 years. Coming in defence of the accused warden, the provost says that he himself doesn’t want to remain on the post and has already offered to leave. He says there was a mechanism to deal with things and lawlessness cannot take over.